Steven (Chicagoland, United States) on 24 July 2009 in Architecture and Portfolio. 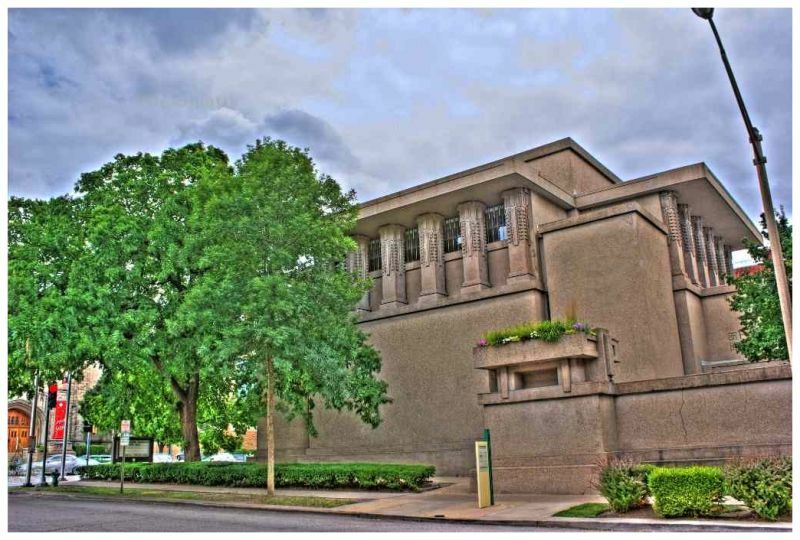 A side elevation of Unity Temple in Oak Park, Illinois, designed by architect Frank Lloyd Wright. Captured with High Dynamic Range (HDR) imaging on July 19, 2009. I really enjoy the surreal aspect of HDR but am as yet undecided about using them myself. Excellent photo. The HDR is a trifle heavy (in my little mind) but that is a lovely composition.